Pick the plan that works best for you and your business. TeamConnect enhances your team productivity, reliability and customer service. The application includes instant voice communication, GPS worker location and automated status updates. Get TeamConnect in three easy steps! We understand that every business is different. With TeamConnect, you can Talk, Locate and Manage your team to improve performance and productivity. Metro area plans, campus plans and smart device plans have been specifically designed to meet your needs. 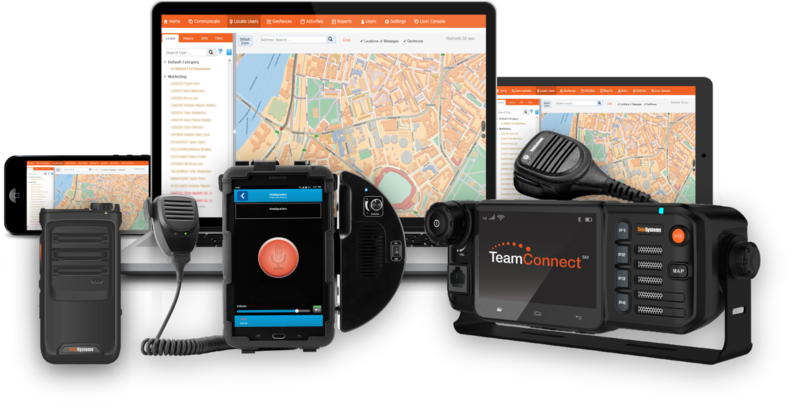 TeamConnect works on our nationwide push-to-talk mobile and portable radios, smartphones and android tablets. Choose whichever device you like or mix and match devices for you and your team. TeamConnect will personalize your communication plan to fit the needs of you and your team. 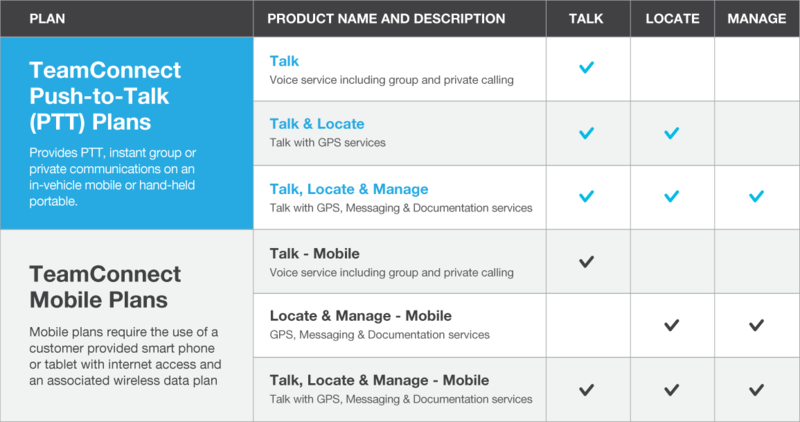 Our industry experts get you started with customized one button alerts that will begin reducing your call volume. We offer one-on-one training to show you the top service features selected for your industry. Our local dealer network will assist in set up ensuring prompt use of your new equipment! We are available at your convenience for any questions related to service, billing or feedback. Add Hub to Your Current TeamConnect Plan!